After you arrive at Entebbe International Airport, our representative will pick you up and introduce you to your driver/guide who will thereafter be in charge of your well-being. You will then be transferred your hotel to refresh and relax for the rest of the morning. Over night at Cassia lodge or Holiday Express. You will be picked up from your hotel by your safari guide and be driven to Kibale National Park. You will stop over in Fortportal town for lunch before driving to Ndali Lodge/Rwenzori View Guest House where you will stay prior to your Chimpanze tracking tomorrow. After checking in and relaxing for a while, you will go for a guided walk in Bigodi Swamp to look for different species of birds like the Blue Throated Roller, Shining Blue Kingfisher among other birds. Dinner and overnight at Ndali Lodge/Primates Lodge/Kanyankyu Ecological Site. 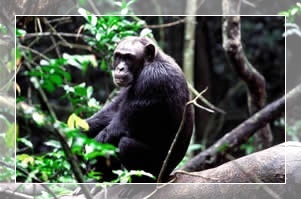 After breakfast, report to the ranger station in Kibale national Part at 08.00am to track the chimpanzees. These great apes are tremendous fun to watch as they squabble and play. In the afternoon, you will go for a forest walk to look out for other primates. A network of shady forest trails provides much to delight botanists and butterfly lovers, while birders are in a treat with more than 320 species recorded. Dinner and overnight at Ndali Lodge/Primates Lodge/Kanyankyu Ecological Site. After a short briefing by your guide, you will be driven to the shores of Lake Victoria to meet your 9.00am launch. The boat takes about 45 minutes across to Ngamba Island Chimp Sanctuary, crossing the Equator en-route. 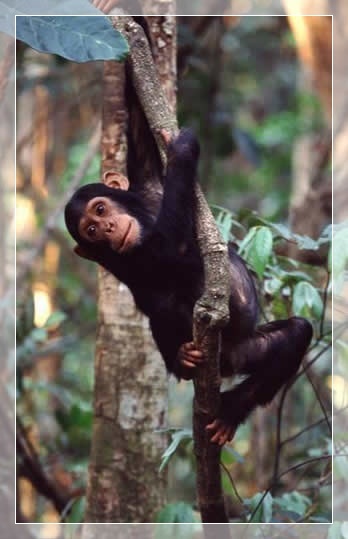 On arrival at the island, home to 39 chimpanzees, you will be given a short introduction and briefing on the sanctuary. It is fascinating to watch the chimps interact with each other and with their keepers. In the relatively short amount of time you are there you will be able to see such different personalities amongst the group, with some whistling for food and others clapping. You will return to the main land for launch and to meet you flight back home.